Every large building such as hotels, factories, office buildings, offices, and hospitals certainly needs panels to distribute electricity properly. Without good distribution of electricity, of course, they will experience some bad condition such as repeatedly replacing any devices that use electricity and are affected by high and low electric currents such as computers, split unit heating and cooling equipment. This increases the risk of fire due to short circuit. Therefore, every building that uses high power needs an electric panel. What is an electric panel? What is an electric panel? Electric panel is a device that is formed based on the arrangement of electrical components that are deliberately arranged as a control media to facilitate the use of electricity control. With good electrical panels, we can avoid any short circuits that can cause a fire. Of course, you do not want this nightmare to happen to your house. So, installing an electric panel is not an option, but it is a must. 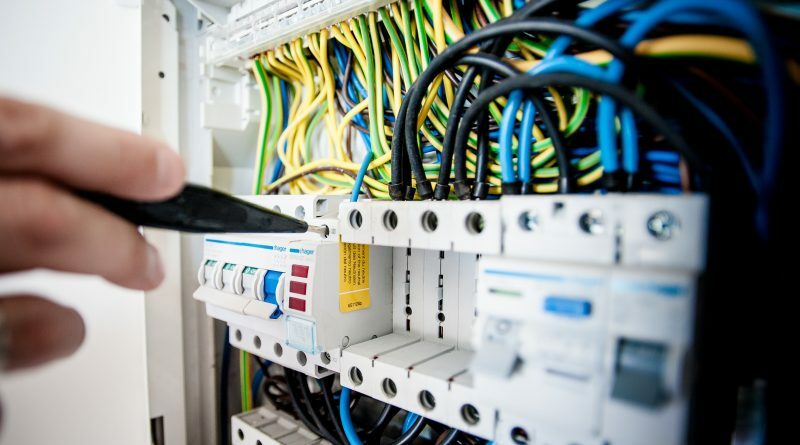 Since assembling an electrical panel is not that easy, so we need a professional electrician who can handle electrical panel in order to avoid the risks that may occur in the future. What are the components of an electric panel? There are actually five components that plays a big role in distributing the power on electric panel. They are Miniature circuit board, moulded case circuit breaker, ground fault circuit interruption, grounding, and current transformer. Where does the electric power come from? Basically, the power that is distributed through the electric panel is coming from the electrical meter box that you can see outside of the house. The electricity comes into the electric panel through the cable connected to the meter box. Then, the electricity will be distributed to some points through the distribution line. In this case, a series of circuit breakers will work to control the power. When a short circuit occurs, this electric panel will turn off the distribution so it will not give impact to other devices that are connected to the power. Is an electric panel really safe for home? There is no reason for not using an electric panel because it is very useful and important. Somehow, not all of the houses use electric panel because it is usually used in a large building that needs high power. This electric panel works automatically and some electric panels also have voltage indicators so you can see the number of power that is currently used. This electric panel will work automatically and will turn off the power when there is a short circuit. So, you are no need to worry about a house fire. Moreover, the electric panel can also save your electricity so you can save more bills. Finally, that’s all you need to know about electric panel just in case you want to keep your house safe from house fire due to short circuit. Somehow, if you want to install an electric panel, you must call a professional electrician who knows about this system because the electric panel is a bit complicated to install.